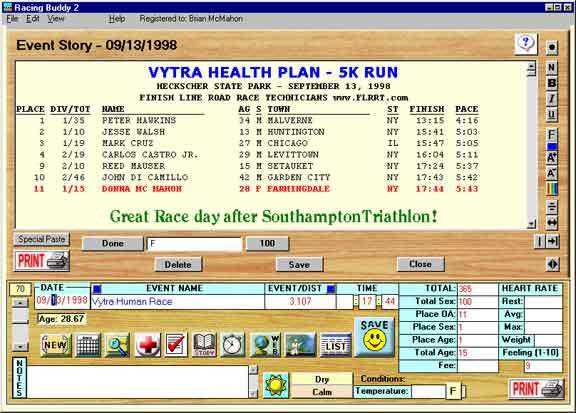 Cut and Past Complete Race Results into story window or write your own story. Format text - normal, bold, italic, underline, fonts, type size, type color & alignment. Use Special Paste to correct formatting problems associated with some internet files. Search for any text in Story. Add Stories to any event or date on the calendar. Search all Stories using the Find Button.